2. 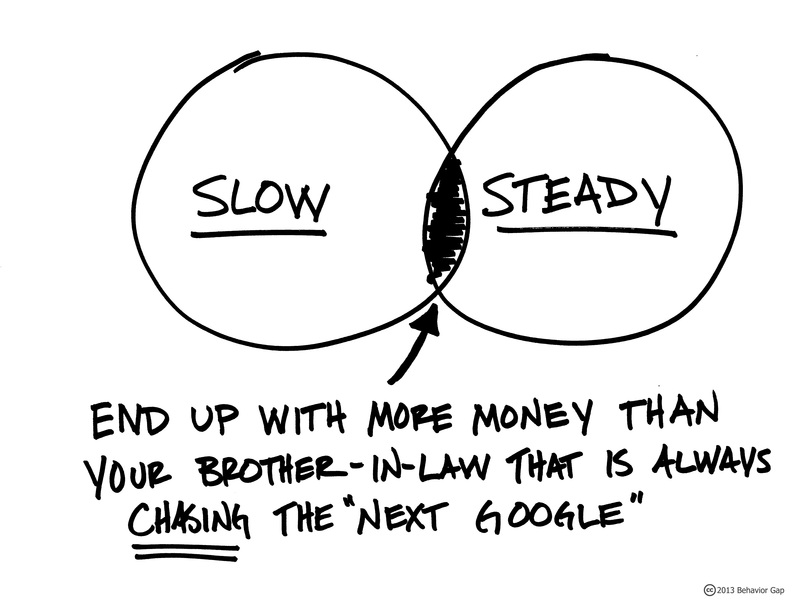 Slow and steady capital means you can have a life. If you accept the fact that slow and steady wins the race and you find a way to invest that way, you can turn off all the noise of Wall Street. A friend of mine in emergency medicine used to tell me that he never knew whether to laugh or cry when he would go run in the mountains behind the hospital during lunch while all the other physicians were huddled around CNBC, as if Jim Cramer was about to reveal the secret to endless wealth. Slow and steady capital allows you to ignore that noise and enjoy your life. That was the case here. After talking about it for awhile, we discovered that in just the last few months things had gone well. But it was on a much smaller capital base, because the client-to-be had lost around 50 percent in 2008. So if you decide to be slow and steady, remember to take ALL stories of people getting rich quick with a huge grain of salt.